Sweet smelling cherry facials are a great solution for dull skin. Vitamin rich cherry brightens and softens the face beautifully, while addressing hyperpigmentation, sun damage and dryness. 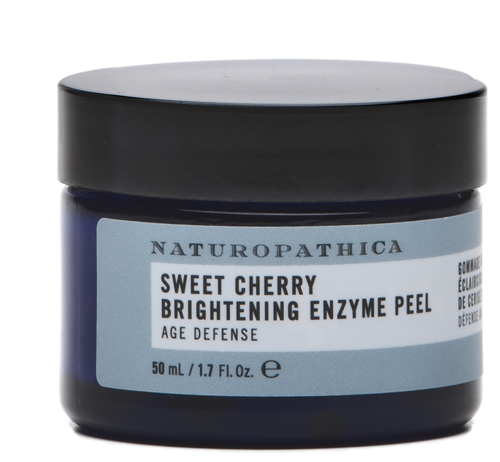 Naturopathica’s Sweet Cherry Enzyme Peel is one of our favorite skin remedies. We absolutely love this anti-oxidant boosting mixture of cherry and pomegranate extract. It feels and smells divine! Women with dry skin and those who travel frequently benefit wonderfully from a Cherry Brightening Facial. It’s the perfect facial to liven up and revitalize dry, stressed complexions periodically… For clients wishing to visibly reduce sun-damage or hyperpigmentation, a monthly Cherry Brightening Facial or two is recommended. A twice weekly application of a cherry mask or peel at home will greatly improve results over time. 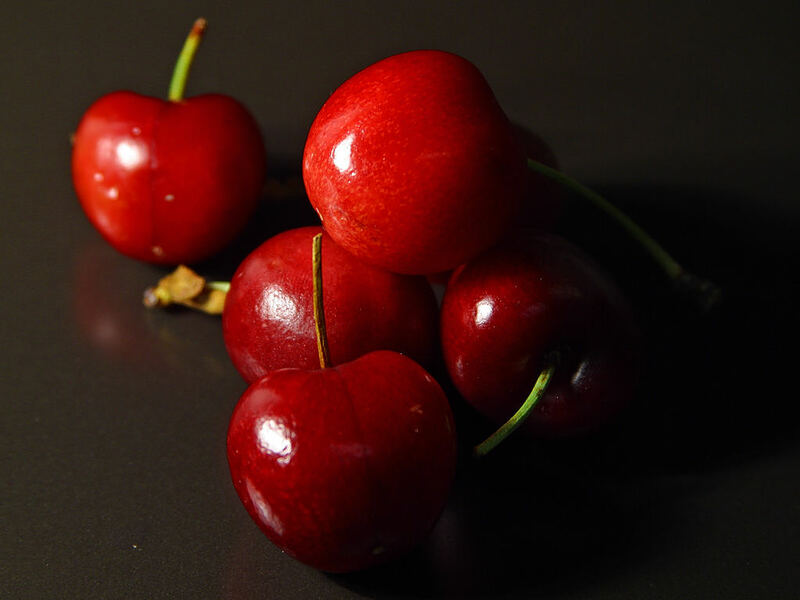 Whichever concerns your face, the natural, vitamin rich properties of cherry make skin bright and beautiful. Cherries are known for their vitamin and phytochemical content, especially Vitamin C and Beta Carotene. They are packed full of antioxidants and anti-inflammatory agents. The darker a cherry’s skin is, the more skin-soothing chemicals it holds. Cherries are also natural humectants, meaning they retain moisture. These combined properties make them great for dry, inflamed skin. Eat cherries for a good complexion as well as other health benefits. At Urban Sanctuary, our Cherry Brightening Facial starts with a skin analysis, followed by a deep skin cleanse and steam to open the pores. The lactic acid and fruit enzymes of the Sweet Cherry Enyzme slough off dry, dead skin. Its enticing, sweet smell reminds us of cherry jubilee! Your esthetician may perform extractions for any remaining clogged pores. A cooling, hydrating mask turns freshly exfoliated skin to silk… A combination of moisturizers and serums are massaged into your skin to complete your revitalizing facial. Our enzyme peel facials use a 15% strength peel formula by Naturopathica, and we carry a 3% version for at-home use. Naturopathica’s Sweet Cherry Enzyme Peel uses sweet cherry puree and pomegranate extract to exfoliate and pump the skin full of antioxidants, promoting a smooth and bright complexion. In addition, this peel features resveratrol, the antioxidant in wine that makes it “heart healthy.” Naturally-derived acids, including lactic acid, work with the properties of the fruit to eat away dry, damaged skin. Call Urban Sanctuary at 706-613-3947 to inquire about our Sweet Cherry Brightening Facial or other skin brightening treatments, such as advanced microdermabrasion. Our entire facial menu and extras can be found on our website facial extras – you may also email us at [email protected] for a personal skincare consultation. Stop by our spa boutique any day of the week if you’d like to take a jar of the enzyme peel home with you. You’ll enjoy a visible difference in the smoothness and brightness of your face in just a few weeks of regular masks.